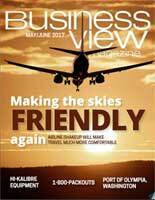 Business View Magazine interviews representative from the Town of Stony Plain, Alberta, as part of our focus on Economic Development and Canadian Cities. Stony Plain, Alberta is a strong, vibrant community that respects its heritage, embraces its present, and is excited about its future. 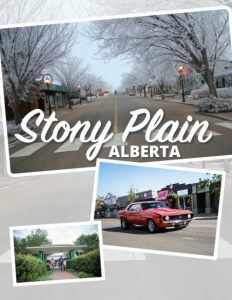 While rubbing elbows, geographically, with neighboring Edmonton (capital city of Alberta, Canada) means a wealth of local opportunities from 1.3 million residents in the capital region, Stony Plain keeps just enough distance to retain the quintessential, small-town atmosphere that draws people to live and work there. In 1881, carpenter John Leod McDonald was the first pioneer to stake a claim in a region of Alberta then known as Dog Rump Creek. When McDonald became postmaster, he successfully lobbied to have the settlement renamed Stony Plain, which he found more becoming. Agreed! In 1907, the Edmonton, Yukon & Pacific Railway completed a line 19 miles west of Edmonton which was supposed to cut through Stony Plain. But the track totally missed its mark. Not willing to lose out on the economic benefits the railroad represented, intrepid town elders literally moved their small community to the railway. Using 20 teams of horses, the buildings were rolled to the present site of Stony Plain. As predicted, the move drew more settlers. 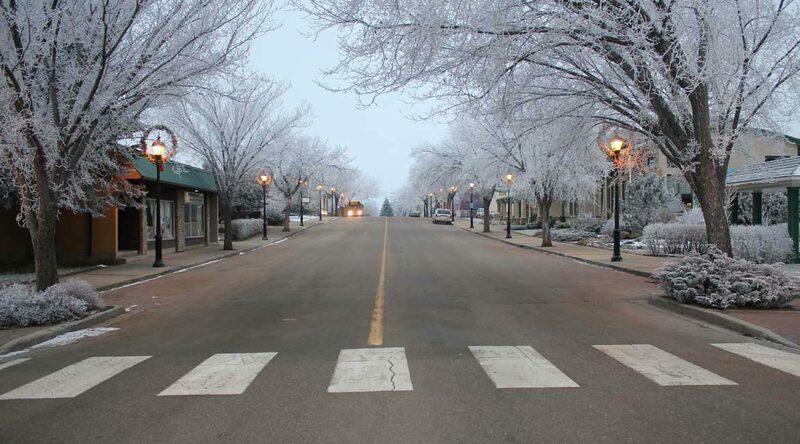 When Stony Plain was incorporated as a town in 1908, the population was over 1,000. Today, that colorful history is kept alive through a public art program, consisting of magnificent outdoor paintings and sculptures created by artists across Canada. From early Postal Service, to the first Town Sheriff, to its unique aboriginal heritage, Stony Plain’s murals are a popular tourist draw for the region. A key project is the redevelopment of Heritage Park, which includes the Pioneer Museum. The initial phase exhibition pavilion was completed in 2012, and this year has seen construction of an adjacent 500-seat venue for events, conferences, and gatherings – cultural and artistic. The town has also partnered with private developers in the north business park. Over 100 acres of industrial/commercial employment lands are now serviced, and the whole community is excited to see new business and employment opportunities coming into those spaces. Lack of public transportation is a real concern for this growing community. In the past year, Stony Plain has partnered with neighbouring municipalities – Parkland County and the City of Spruce Grove – to discuss public transit services and devise a framework for a single-service delivery model. Dibble adds, “We just finished a Parks Open Space Master Plan, and The Rotary Park Master Plan has started. It’s a major entry park with a stunning fountain, skating – a regional park in many ways and we’re investing a lot of money in that. Residents are also asking for a municipal cemetery, we don’t currently have one, but we’re working on it. Along with an urban forestry strategy. Other recent developments include: Railway Plaza just completed with a local developer; Genesis of the Lakes commercial complex completed on the town’s south side, with Sorrentino’s restaurant as a highlight; two large apartment buildings finished in the south business park. On tap: a proposed seniors’ mixed-use facility, and potential for a Tim Hortons site. Agriculture is also on the radar. Historically, the town existed to support the neighboring agricultural sector within Parkland County. That role is still strong today, but shifting. Many businesses that started as farm operations are looking at value-added opportunities that require commercial or industrial lands to develop new products and services. Stony Plain is a natural fit as an anchor point for development and marketing into the Edmonton capital region, with its target market of over 1.3 million people. An arena, curling rink, and spray park are all located just southwest of downtown. When the high school moved from there to a campus south of the core, the town began working with the school board to redevelop that large site – one of the reasons why an overall redevelopment plan for the area is so important. Stony Plain’s population is currently just over 17,000. Combined with the two other municipalities of the Tri-Region, it ends up being between 70,000 and 80,000. The Alberta government supports regional partnerships, and Dibble believes Stony Plain is a showcase for what other areas of the province should be doing. “We partnered with Spruce Grove to develop a Royal Canadian Mounted Police facility, and with Parkland County on an ambulance facility. Even the pavilion is a joint venture. And our Family & Community Support Services (FCSS) are quite involved with the County. Stony Plain, Spruce Grove and Parkland County have independent solid waste services, but they are working to standardize and harmonize them. In the works: a green project – an organic waste processing facility. Dibble notes, “We’ve done studies to determine from an economic standpoint, a government standpoint, what technologies are mature enough to be utilized by a region of our size. Some of that work has been done in partnership with the province through Alberta Innovates. Stony Plain has one of the highest rates in the area for diverting solid waste from landfills – generally, 50 to 55 percent diversion. We have an educational campaign called ‘Don’t Just Trash It’ to, hopefully, push to the 60 percent mark in 2017.